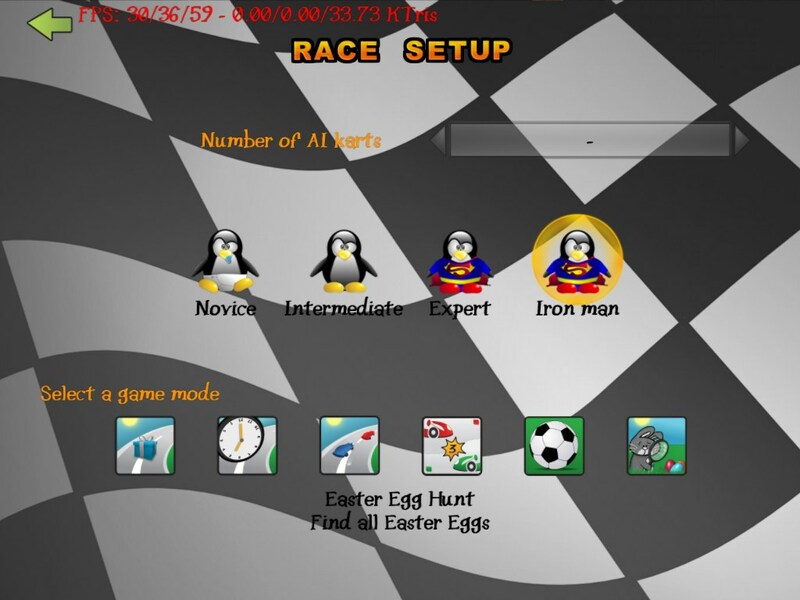 We are proud to announce that SuperTuxKart is among the accepted projects into Google Summer of Code 2013! We have already made contact with a lot of excited students, and we look forward to participating with one or more of them during this summer. We will ask Google for three slots, but considering this is our first time participating we may get less. If you are interested, please read through the GSoC pages and contact us as soon as you want to. Please note that we are very busy trying to respond to everybody and it might take a while before you'll get an answer (especially if you contact us by IRC - you might need to ask several times to get an answer there, so please subscribe to our e-mail list and use it instead or in addition if that is more convenient). However, in the end your proposal is what will matter most to us when choosing who we'll work with. The interview with us for SourceForge's Project of the Month for April is now up for you to read. Hopefully you will find it interesting, and again thanks a lot to everybody who voted for us! Without your help we would not have made it. 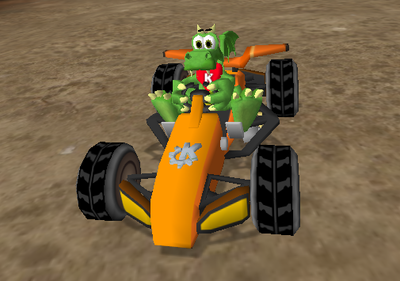 We have a new version of Konqi in the game, made by betharatux1 with some help and advice from jymis. It really shows that community collaboration pays off; thanks to everyone involved! Samuncle has been working on the Old Mine track, refining it. The road should feel the same, but textures and topology has been improved. Do you think Expert difficulty is too easy? 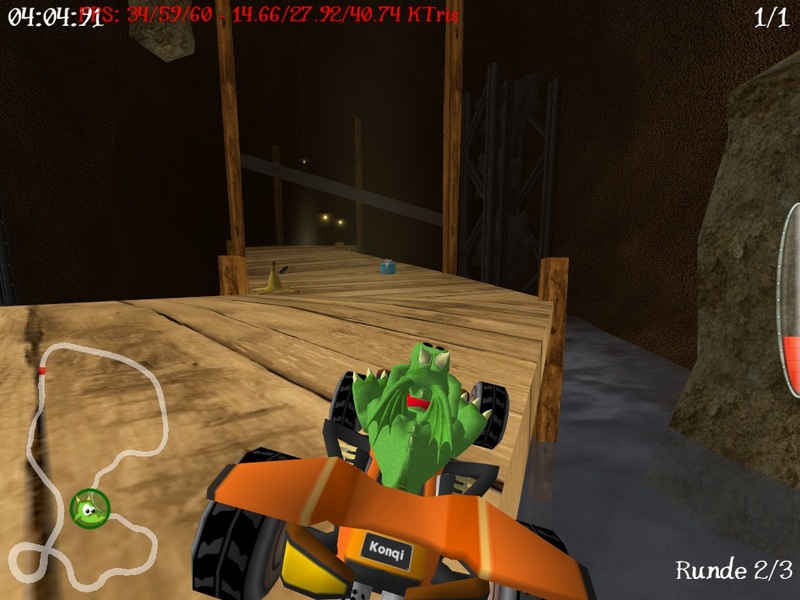 Due to popular demand an extra difficulty has been added, where all karts go a little faster (maybe not noticeable), and the AI always try to use skidding whenever it can, no matter where they are positioned relative to you. Possibly other changes may be made in the future, but we will not make challenges for this difficulty; instead it will be unlocked if you manage to do all challenges as Expert. A lot of code refactoring and bug fixes has been done as well, among others for the camera and rendering. The only change that should be directly visible for the user is that we now support motion blur also while playing multiplayer (splitscreen) games. It's very very very Wonderful !!!!! When we test this version ? When can we expect 0.8.1 to be released?